We House Sundays X Kid Fonque Presents an exclusive JHB musical showcase featuring JIMPSTER (UK). 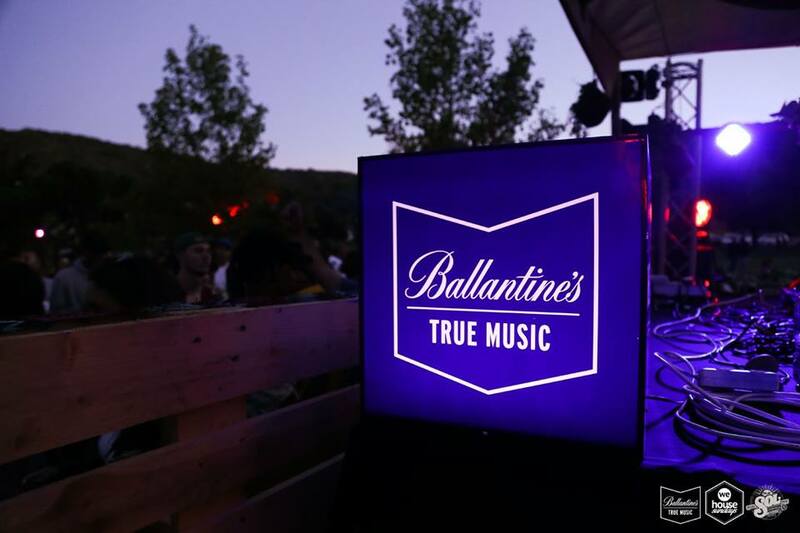 Embracing the momentum of recently celebrating their 4th birthday, WHS embarks on their debut journey from Cape Town to Johannesburg in collaboration with “Stay True” Label boss Kid Fonque & Ballantines. 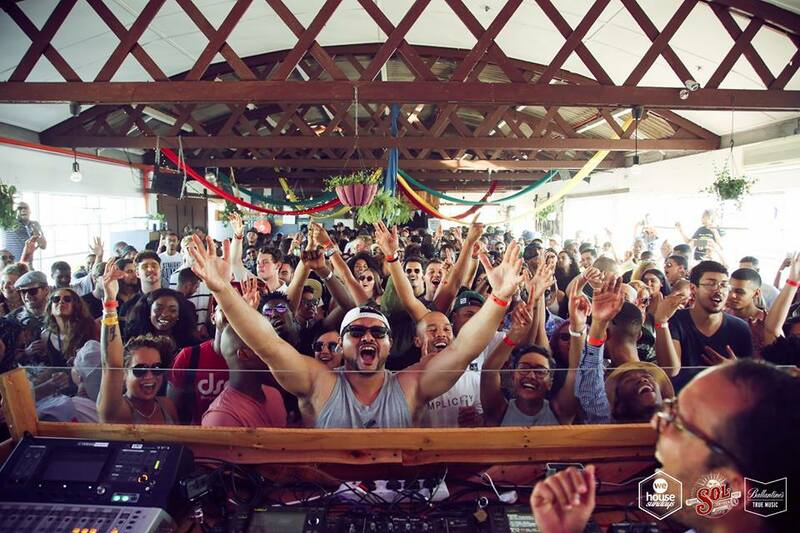 We House Sundays is an authentic music event held in the heart of Cape Town. 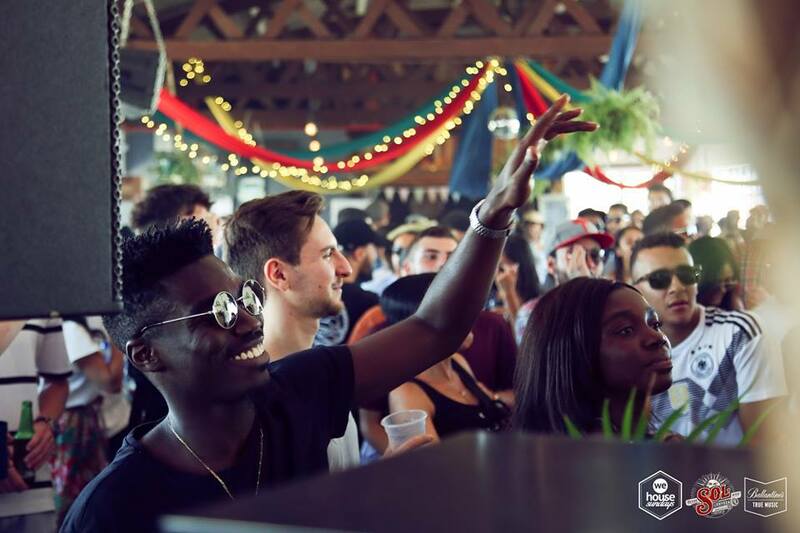 Combining food, music & friends, WHS celebrates the true essence of House Music – bringing our uniquely diverse cultures together and connecting artists, music lovers & dancers from around the globe. The highly celebrated event will take on its triumphs in Cape Town and adorn Johannesburg with an aural extravaganza like no other. 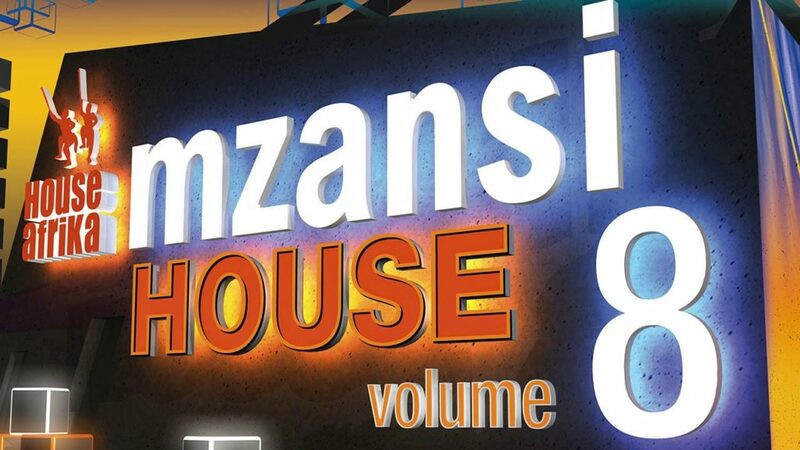 With the intention to extend its Sunday family, WHS is sure to move and excite the vibrant JHB House Music movement. 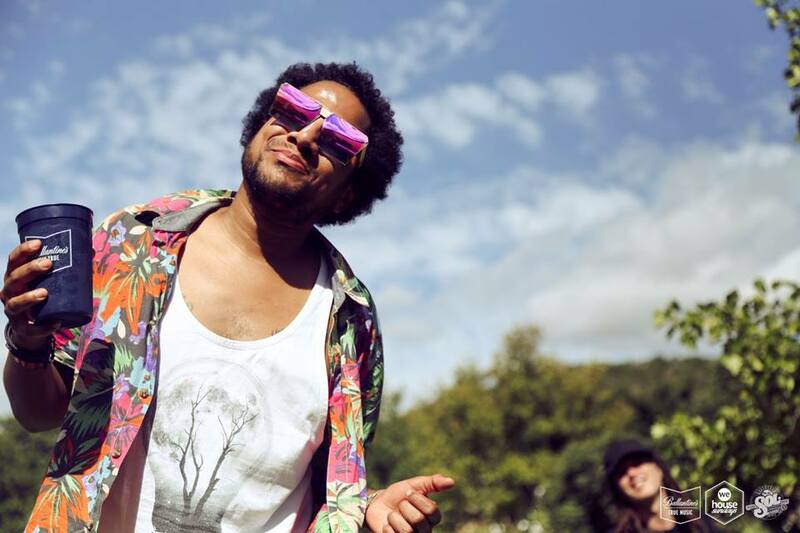 Headlining the event, Jamie Odell aka Jimpster needs no introduction to the South African House scene. Label boss of Freerange Records & Delusions of Grandeur, Jimpster continues to churn out meticulously crafted Deep House gems destined for dance floors across the world. 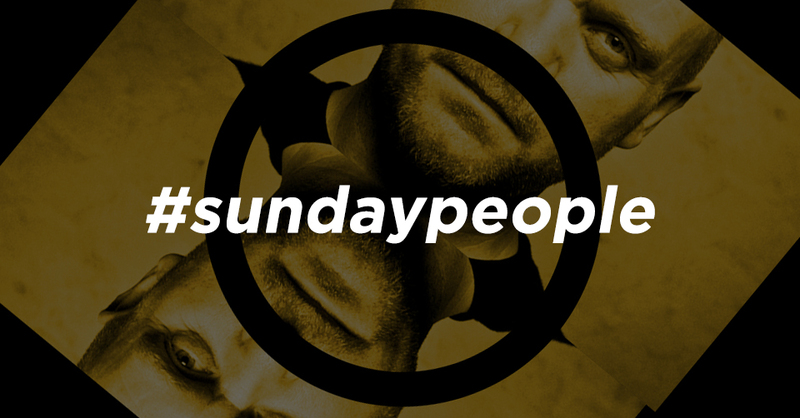 To get you, Sunday People, amped for We House Sundays 4th birthday celebrations, we took the time to get to know more about the man behind the music. We also highlight the launch of his highly anticipated album, ‘Progressions’. 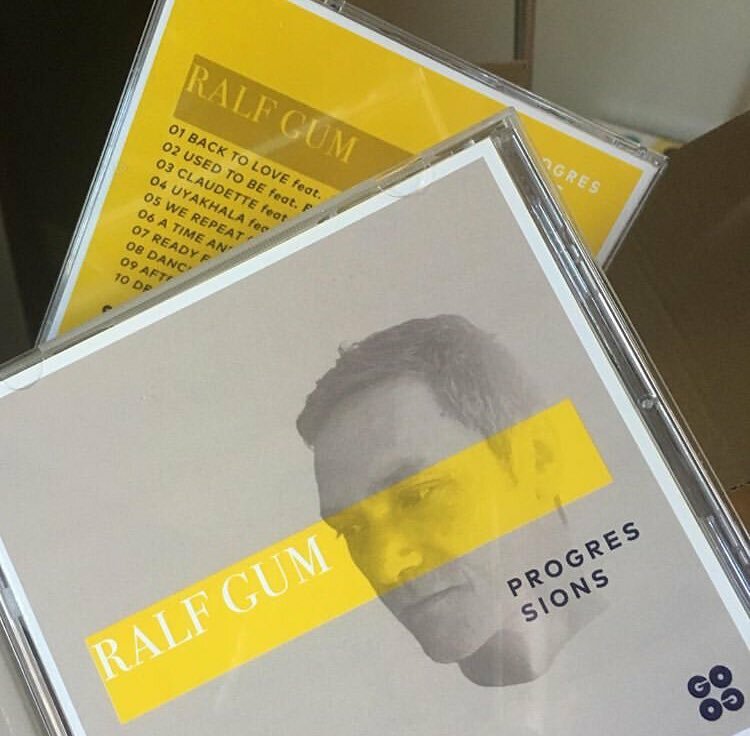 Ralf Gum is quite familiar with the We House Sundays event and the unique vibe the monthly Sunday party creates. “Probably every House Music lover in the country heard about We House Sundays, and honestly, I don’t know why it had to take four years until I was allowed to come.” The 3rd of March will surely be a day of immense dancefloor emotion. “I am very much looking forward to it especially as it is on your anniversary and (performing) together with Monique”, he says. Yes, the inclusion of Monique Bingham has Sunday People consumed with excitement for WHS birthday celebration at Rhebokskloof Wine Estate. According to the man himself, all those in attendance can expect some uplifting soulful vibes. “I will probably play some excerpts from ‘Progressions’, and I am excited to perform ‘Claudette’, the new tune with Monique, live.” Sunday People, get ready for the happy tears and goosebumps, it’s going to be a special one! We House Sundays is heading to Rhebokskloof Wine Estate (Paarl) to celebrate its 4th birthday! 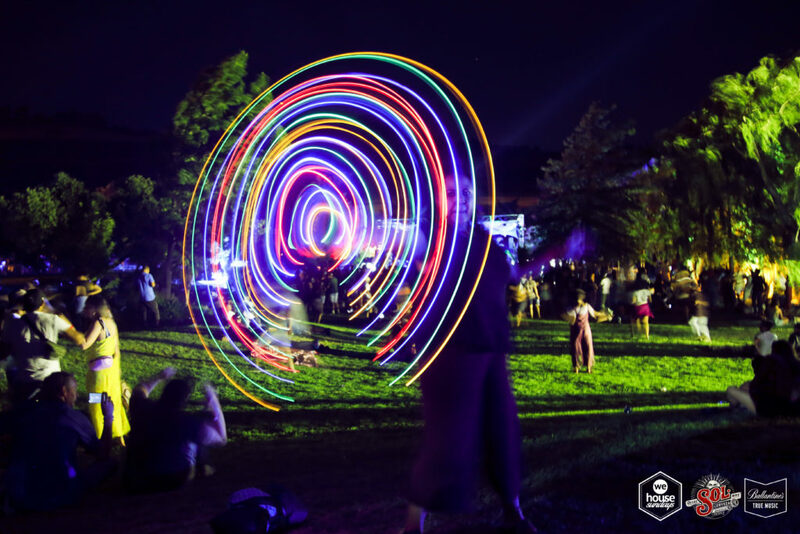 The carefully curated daytime event will once again serve good music, food and lush scenery. 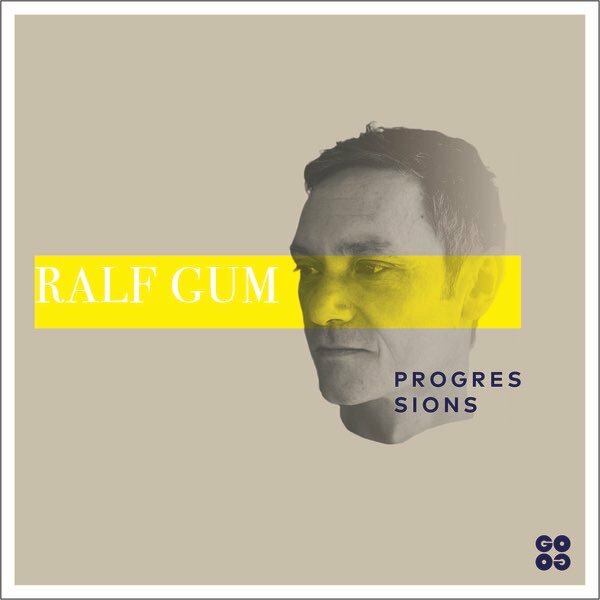 The 3rdof March 2019 will bring together legends in House Music with Ralf Gum (GER) and Monique Bingham (USA) set to join the WHS residents. Come along and join us for a day of fun, laughter, good music, and an abundance of dancing. We encourage you to come early for the beautiful Rhebokskloof views and sun-filled aural pleasures. 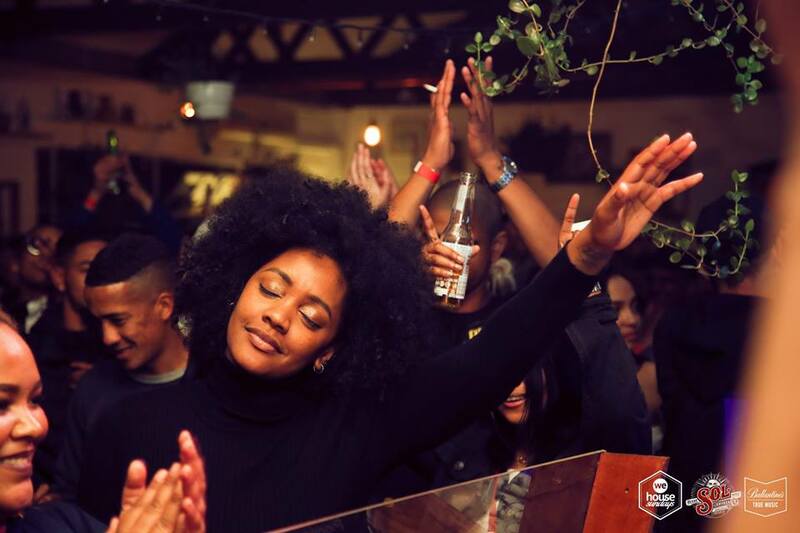 Starting off as an intimate Sunday gathering at Colorbox Studios (Paarden Eiland), We House Sundays has steadily become a monthly Sunday event to be reckoned with in Cape Town and the larger South Africa. 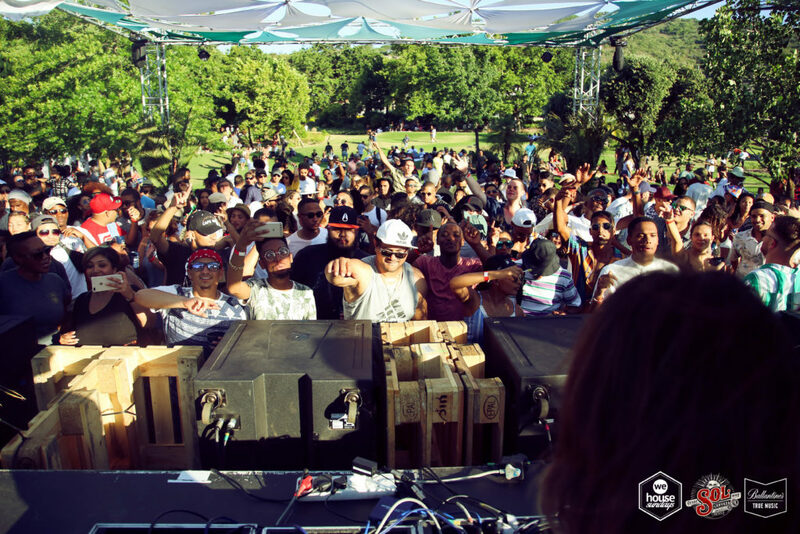 Over the years, WHS has hosted acts such as Andre Lodemann, Atjazz, DJ Buhle, Jullian Gomes, Kat La Kat, and Lady Sakhe. Let’s not forget the Godfathers of House, Vinny Da Vinci and DJ Christos, blessing the Sunday People with their soulful beats. 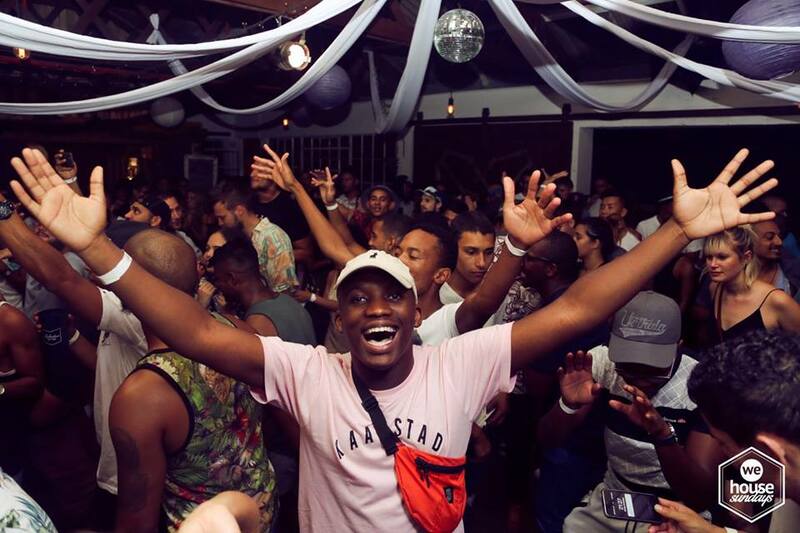 Together with its Sunday People, WHS has been able to create a vibe rooted in the pure essence of the House Music movement. 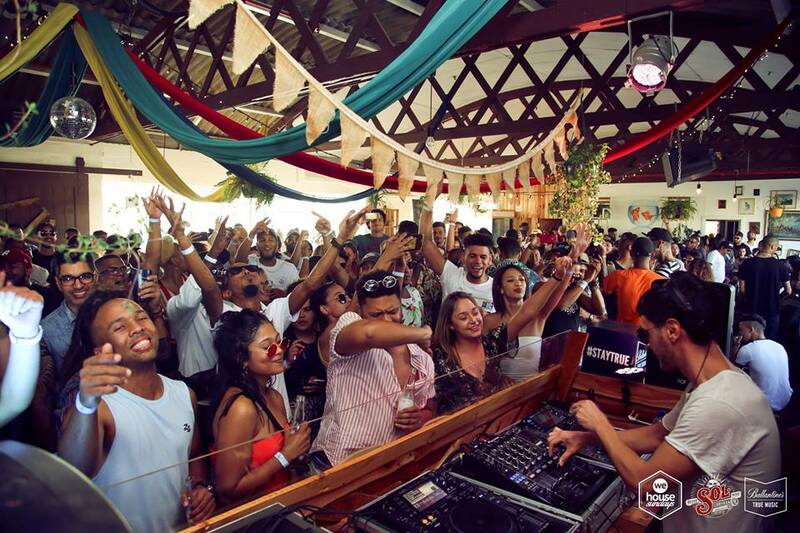 It can be felt in the intrinsically good energy pulsating through the dancefloor (no matter the venue), and the ‘taken aback’ face of local and international DJs’ expressions behind the decks. One thing is for sure, you’re always bound to be greeted with smiles from fellow dancers upon arrival. 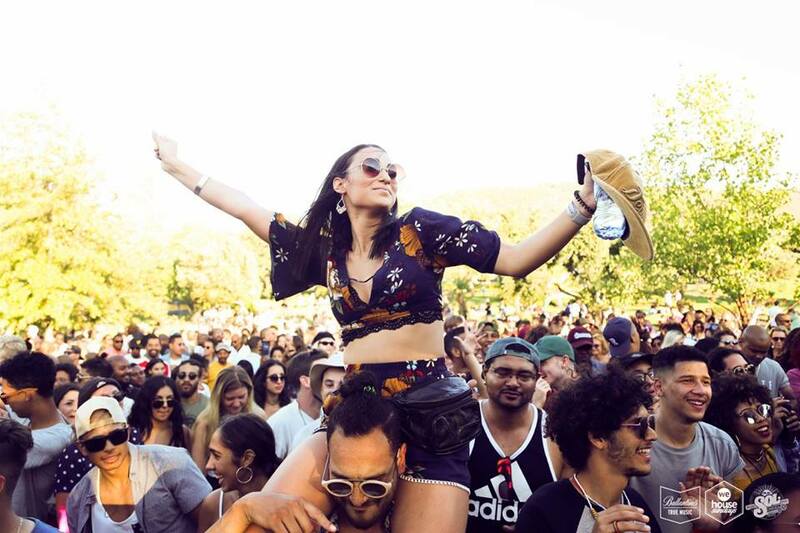 From its first outdoor event, Under The Tree, to the beloved Rhebokskloof Wine Estate parties, and Gugu S’Thebe (Langa), Sunday People have always shown up in their numbers to spread love and kindness through dancing. With power vocals by Monique Bingham, and Ralf Gum on duties alongside WHS residents, one thing is certain, a magical journey awaits at Rhebokskloof Wine Estate on the 3rdof March. You will need to arrange your own transport to and from the event! Please remember to drive safe and drive responsibly. Travel with friends and Carpool where possible! Alternative options are UBER and TAXIFY. Our regular top-class food and drink traders will be there to provide you with delicious tastes and flavours on the day. A halaal option will also be available along with additional food stalls. There will be a CASHLESS bar available on the day. Please note only debit and credit cards will be accepted. No cash transactions will be accepted! To get the best experience of this incredible space bring along a picnic blanket, sunscreen, hats and something warm for the chilly evening time. No camping chairs will be allowed. Please respect the venue and your surroundings and those around you. Make use of the dustbins provided! We House Sundays invites you to our Season Closer on the 16thDecember 2018 at the lush valley of Rhebokskloof Wine Estate (Paarl). 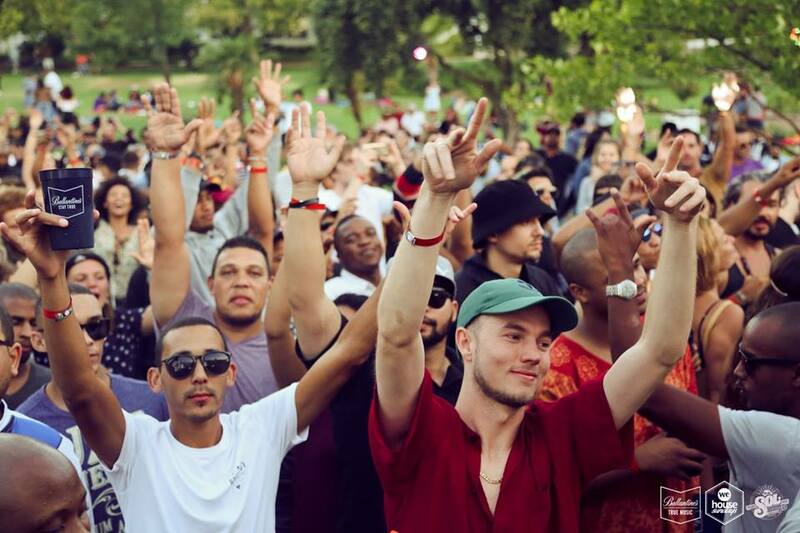 For the final dance of 2018, the daytime event will showcase a stellar line-up, including Till von Sein (GER), Alton Miller (DET), DJ Thobs (JHB), supported by the WHS residents. Sunday People get ready for a beautiful day of music, food and surreal scenery in this idyllic setting. Doors open from 12:00 to 23:00 (next day public holiday). Come early and experience the beautiful daytime views this venue has to offer. 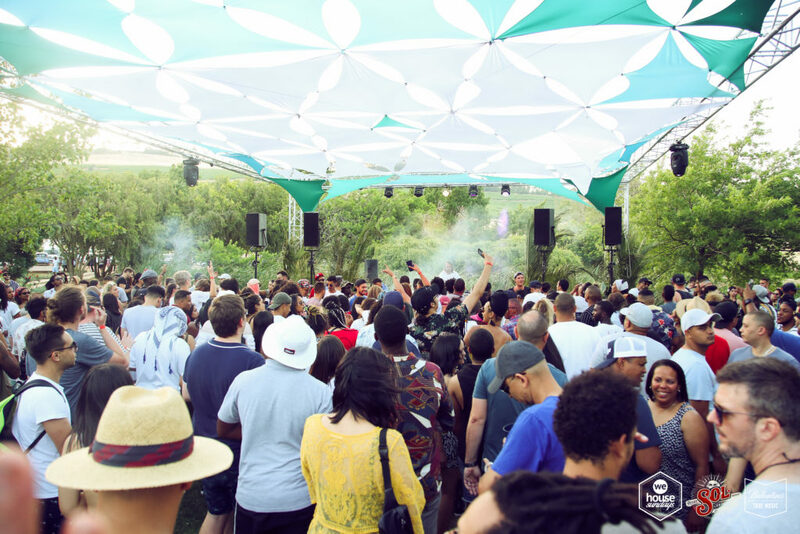 We House Sundays – Season Closer is set to be a fantastic day of uplifting, jovial bliss surrounded by nature and sweet aural vibes. 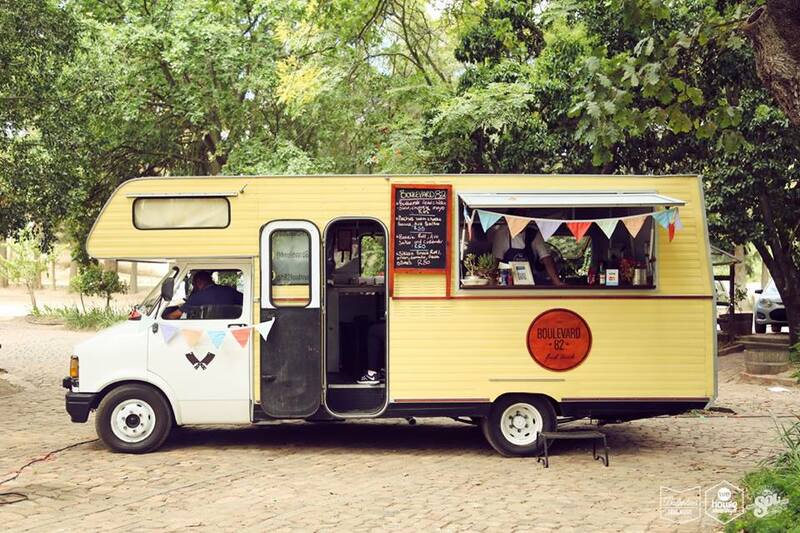 Our regular food and drink traders will be joining us on the day. Along with additional food stalls, including a halaal option, you are in for a day of delicious treats and mouth-watering flavours. 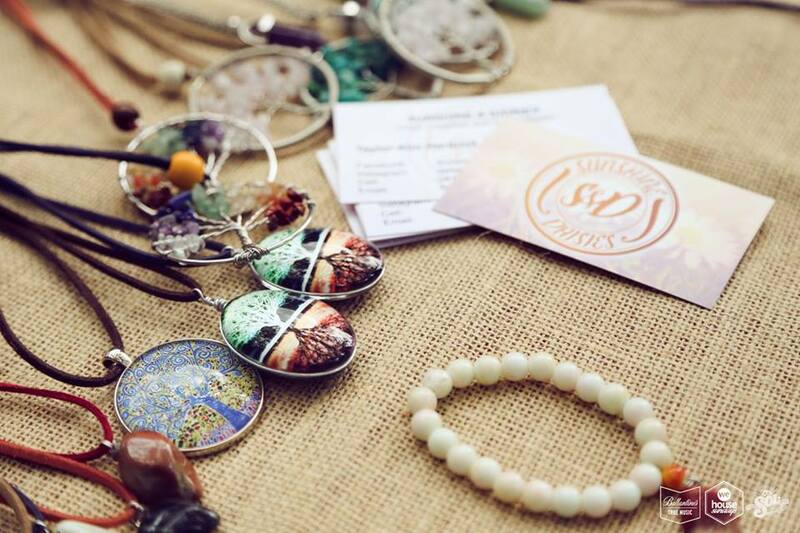 Food, coffee, sweet treats and more will be on sale. Cash and card facilities are available at the food stalls! Please note that we will be running a CASHLESS bar. Only debit and credit cards will be accepted. There will be no cash transactions at the bar on the day of the event. 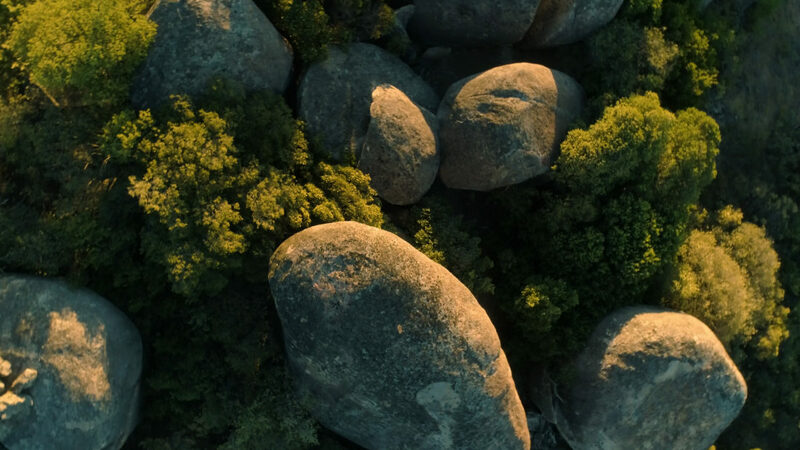 To get the best experience of this incredible space bring along a picnic blanket, sunscreen, hats and of course something warm for the chilly evening time. No camping chairs will be allowed. Please respect the venue and your surroundings and those around you. Please use the dustbins provided! 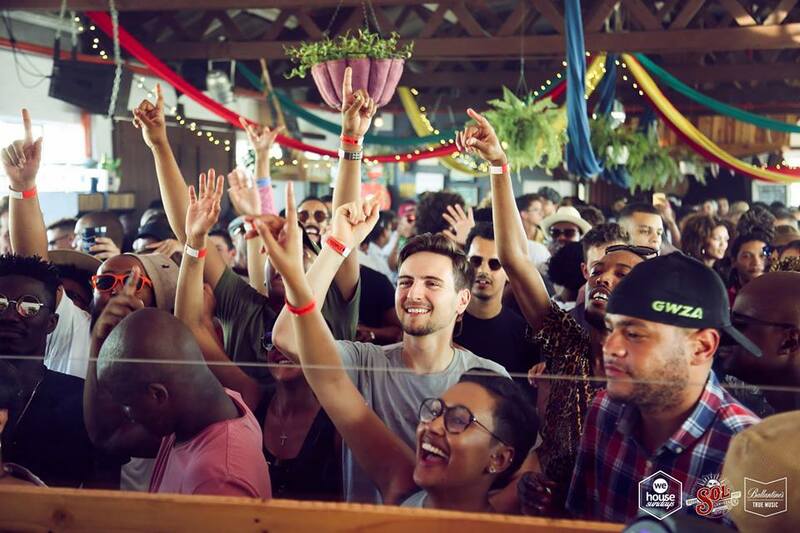 We cannot contain our excitement any longer for what is sure to be a beautiful day of all-round good vibes and you, Sunday People – the essential ingredient to a magnificent We House Sundays. Come and join us for a day of fun and endless dancing. Did we mention that the next day is a public holiday? It doesn’t get any better. The stars have aligned for a Season Closer that will linger on our minds for a lifetime. We House Sundays is thrilled to welcome Atjazz (UK), an integral figure in the underground music scene. With dancefloor hits such as “Agbara” and “Here to Stay”, South Africa has certainly adopted the talented Martin “Atjazz” Iveson as one of our own. The Composer, Record Producer, Remixer, Mastering Engineer, Label Owner and DJ will be rocking the Colorbox Studios on 2 December 2018. 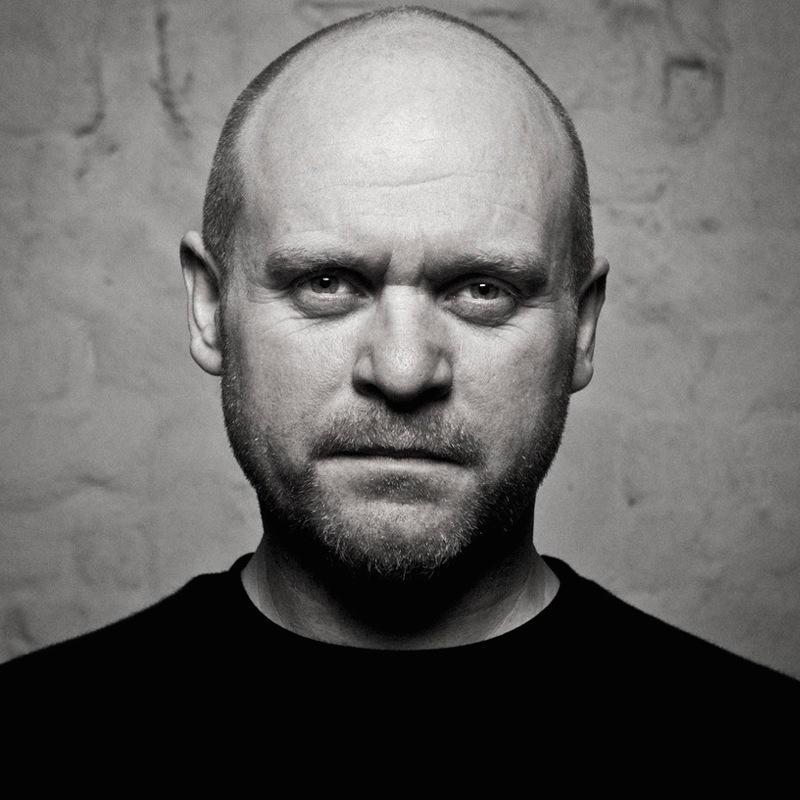 Born in the United Kingdom, Martin “Atjazz” Iveson has an interesting career, from his misspent youth skateboarding through the small towns of North East England to landing his first job scoring for a computer game studio, Core Design Ltd., on their worldwide hit “Tomb Raider” series. During this time, he was mindfully developing and producing his own personal style of deep and soulful House Music. 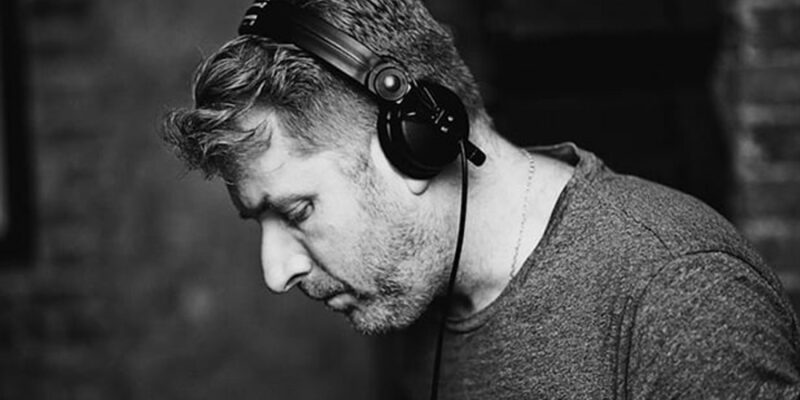 Devoting over a decade of his time to the company, Martin felt he needed a new challenge and left his role at Core to create his own Mantis Recordings company. Through his new project, he was able to collaborate with like-minded artists. Early successes include his first EP “Story” which led to the well-received album “That Something”. He continued creating sounds that would forever change the music we listen to with two further albums, “Labfunk” and “Lab Results”. Along with his own productions, Atjazz is a well-sought-after remixer. 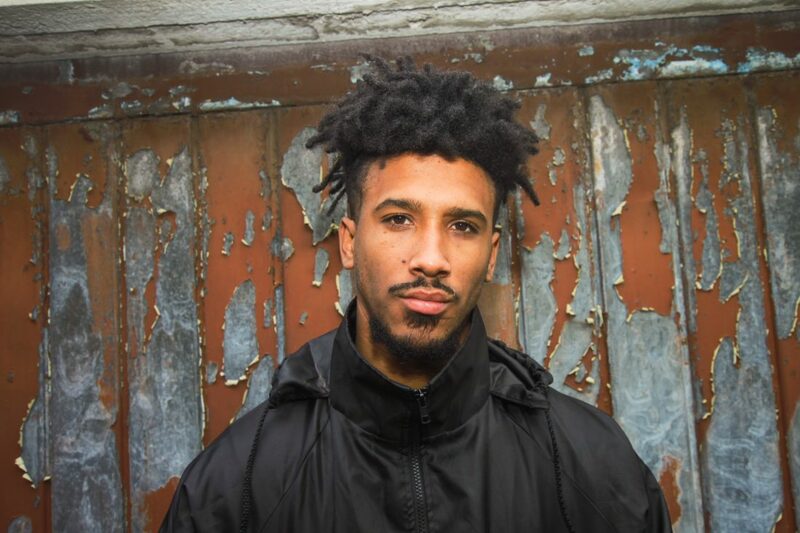 He has had the honour of remixing and reworking songs and works for Nitin Sawhney, Bob Sinclair, Giles Peterson, Jazzanova and Osunlade to name a few. From the ashes of his label, Mantis Recordings came the ever-impressive Atjazz Record Company (ARCo). Through this new record company, diverse and multi-faceted productions and collaborations have been released, catapulting his career once again. His care and love for music could be felt throughout Europe and the world. South Africa is a country forever in awe of Atjazz – the man and his music productions. In 2011, Atjazz toured South Africa and the serendipitous moment happened: Atjazz met South African DJ, Jullian Gomes at the infamous House 22 in Sunnyside, Pretoria. The two well-respected stalwarts in the underground music scene struck a relationship that dancefloors across South Africa continue to celebrate and reap from. The two collaborated on the epic track, “Overshadowed” in 2012, which led them to continually work together. 2018 saw the release of their new album, “Big Bad Crazy” and it is setting the dancefloor alight with pulsating bangers such as “Don Esquire” and “Blow by Blow”. The well-thought and produced album is a piece of sonic heaven made for the good and bad times. “Big Bad Crazy” affords you, the listener, a chance to travel through the minds of these brilliant artists as well as allow it to be anything you need it to be. Sunday People are you ready for the sonic journey that awaits at Colorbox Studios on the 2nd December? 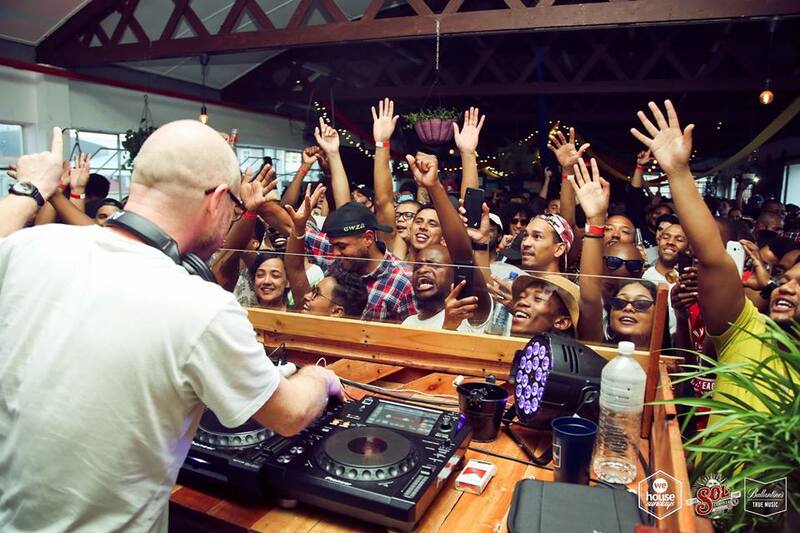 With Atjazz guaranteed to deliver a soulful and spiritual performance we are sure you are in for a We House Sundays filled with good-hearted fun! Music – A Vehicle For Change! 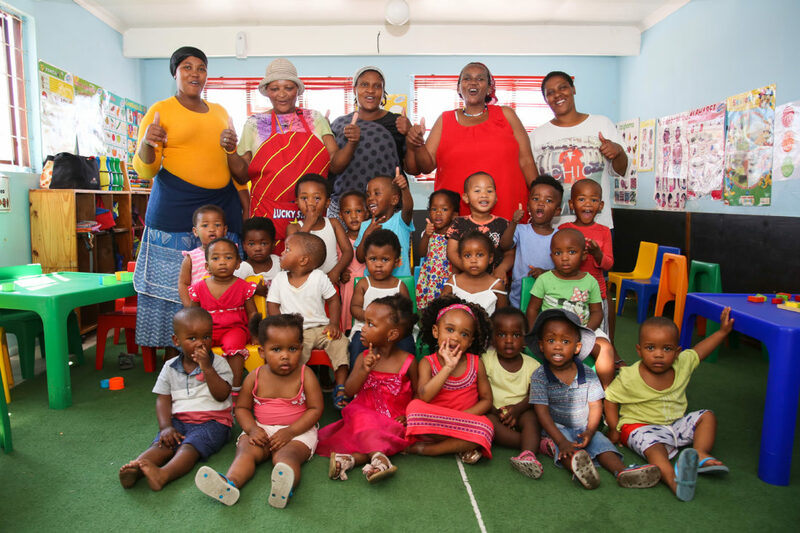 Establishing Langa Creche was not an easy process, as her aunt went about enquiring how-to set-in motion a space where the neighbourhood children could be taken care of while their parents were at work. 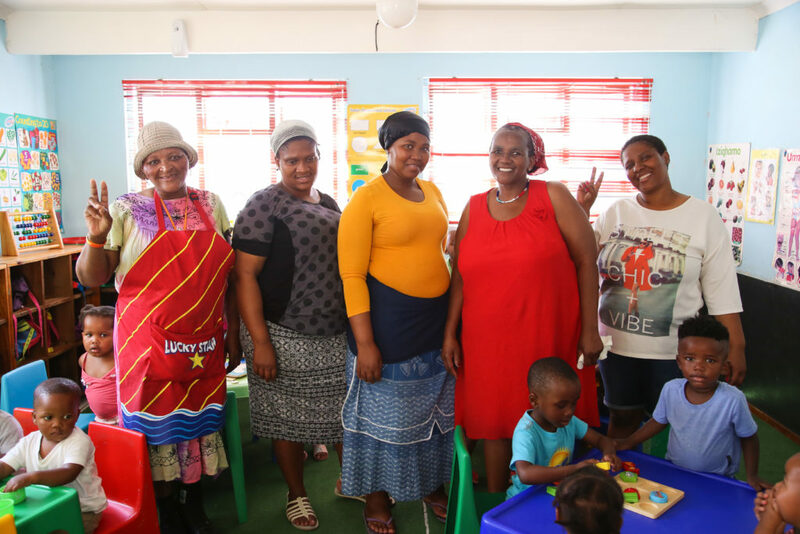 Her family had always been devoted to community work, “my grandmother used to do community work, she used to cook and take food to old-aged homes.” With the need to help and make other people’s lives better, Jean continues to ensure that the children at Langa Creche are fed, have clean nappies and that they are learning. Her love and admiration for children can be heard in the way she so fondly speaks of them. 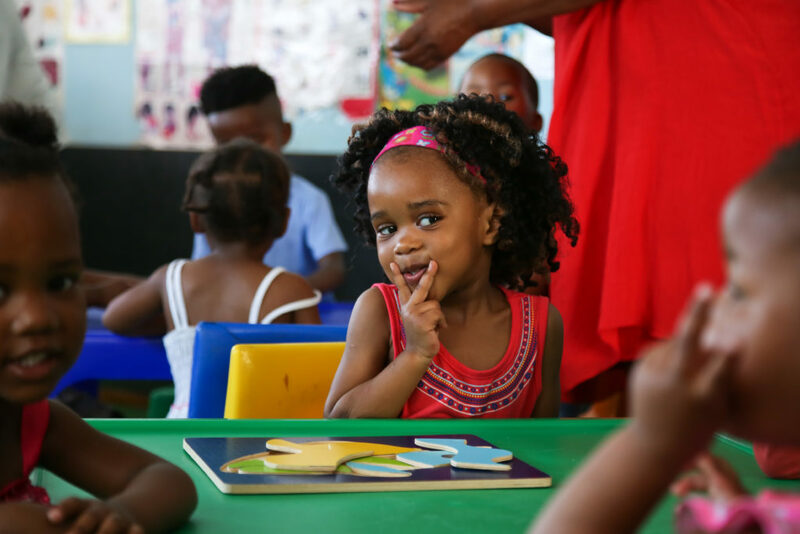 Running the creche comes with many challenges, including irregular school fees payments and dealing with the inconsistencies of Social Development. 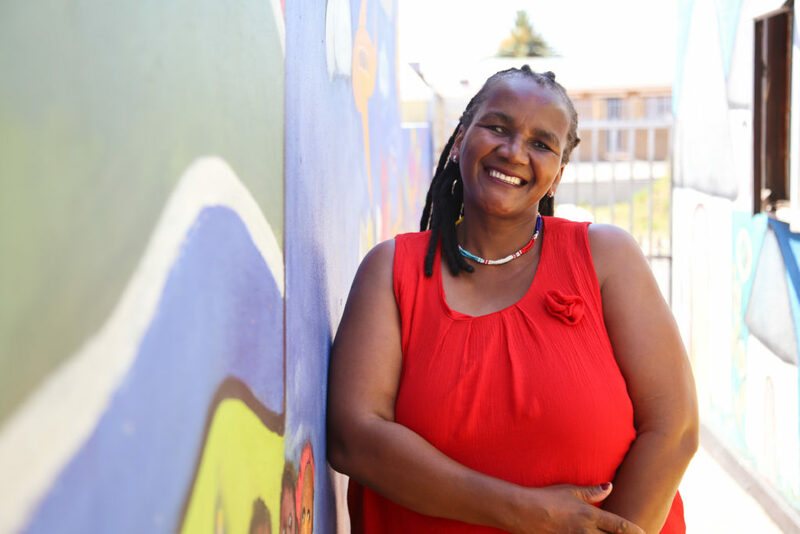 Through it all, Jean continues to ensure that there is a safe space for the neighbourhood children. “When you do something with passion you don’t feel it.” For many parents, it is difficult to produce the monthly creche payment. Jean understands these everyday struggles faced by parents. “I’ve got children who I’ve decided to make beneficiaries when I noticed that the family can’t afford to pay the fees. Instead of keeping the child in the house, I’d say bring the child to school. 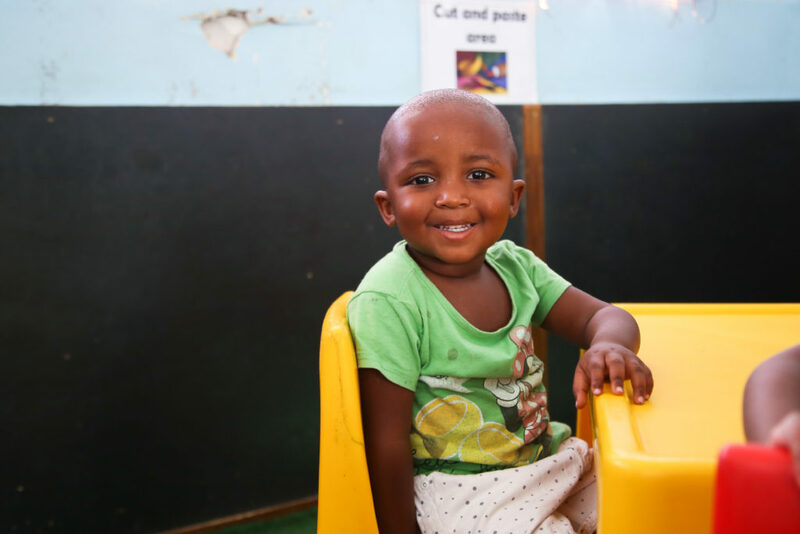 Because, I know she’s not eating at home but if she’s here, I know I’m going to give her a plate of food and she’ll have a snack before she goes home.” Today, she is equipped to take care of 22 children, with the help of two teachers and a cook. 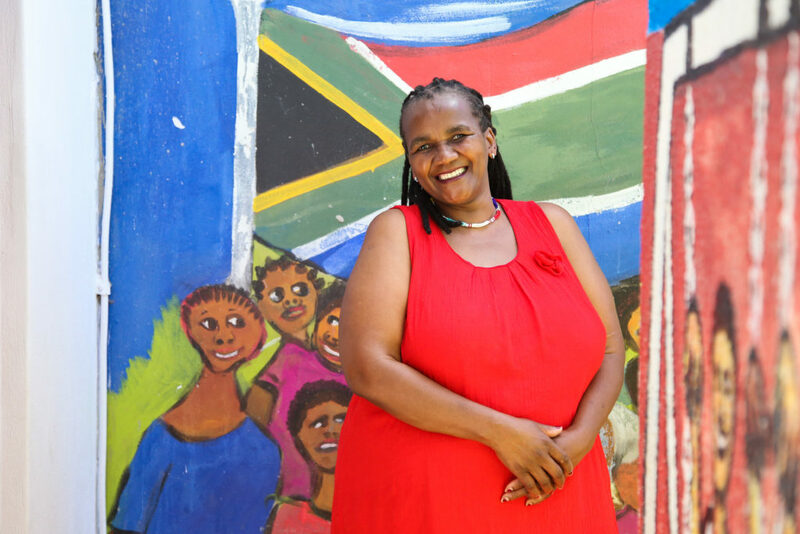 Jean is a warrior with a strong spirit, invested in providing children in Langa with a better future. 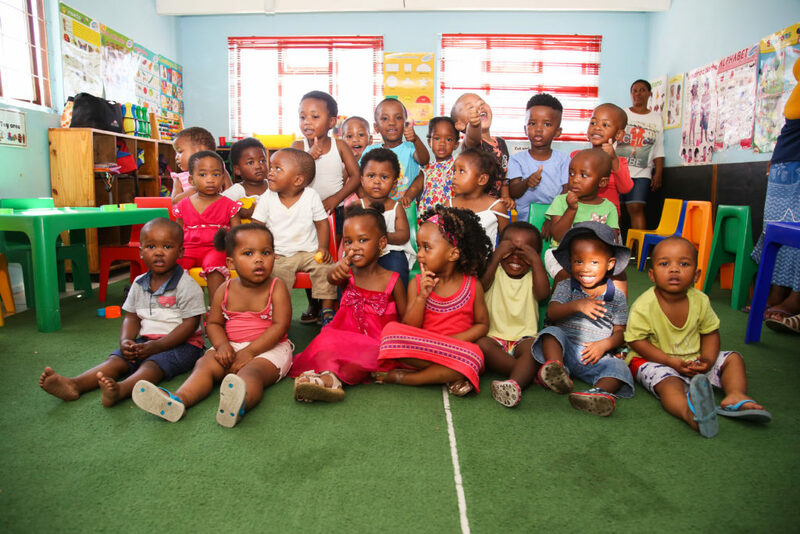 The Langa Creche serves kids with an opportunity to make good choices. 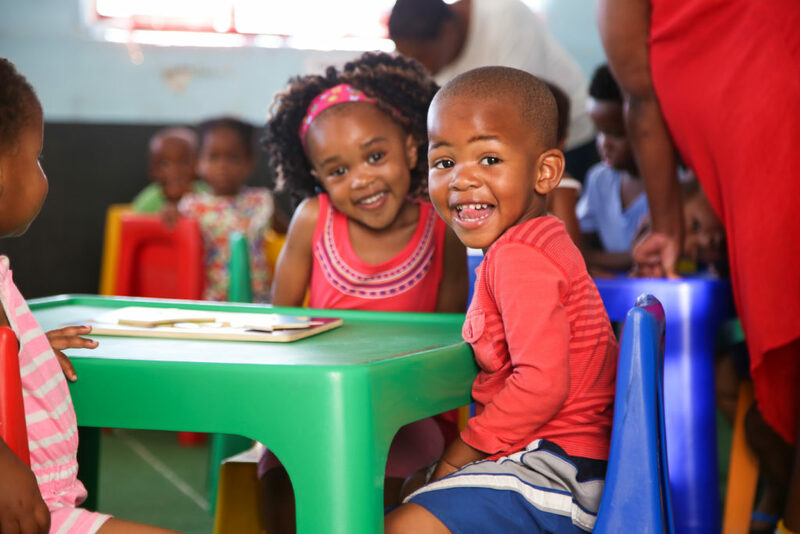 Instead of succumbing to their environment, they are equipped to see what lies beyond Langa. 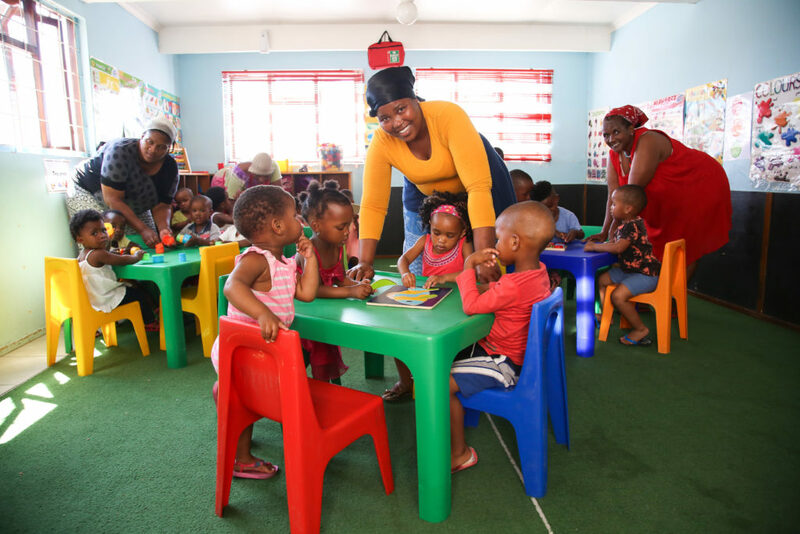 She finds joy and pride in seeing people who have started at her creche and have gone on to do great things such as pursuing a degree at university, or starting their own business. 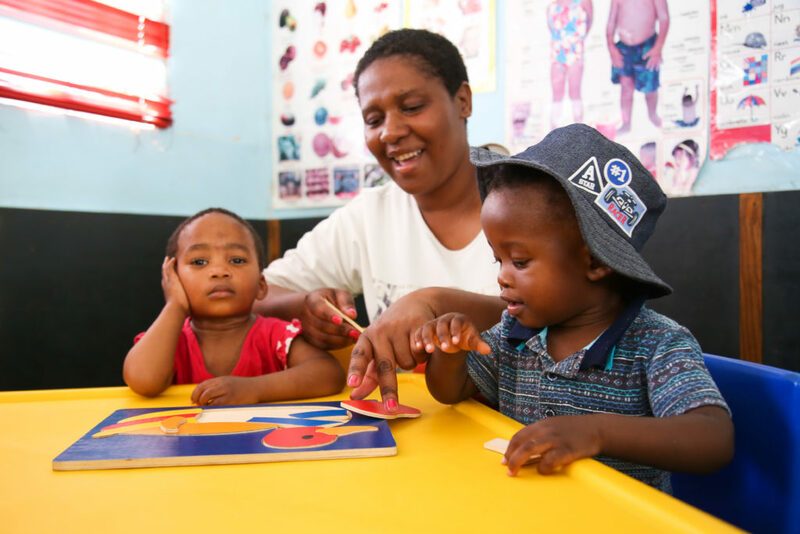 Committed to the cause, Jean attends classes once a week and workshops to ensure the creche is up to standard and that her children are learning the prescribed curriculum. This is one woman determined to enhance the lives of many in her community. Her dedication is an inspiration to never give up and to never be afraid to ask for a helping hand as we could all use one from time to time. One of Cape Town’s freshest House Music talents will grace you, Sunday People, with an electrifying musical showcase on the 26th August 2018. Get ready for We House Sundays Ft. Pierre Johnson (Album Launch). This edition of rhythm and soul is sure to be a powerful musical feast, as we celebrate the recent accolades of DJ and producer, Pierre Johnson. The entire nation can attest to the sheer brilliance of this hitmaker’s growing success. 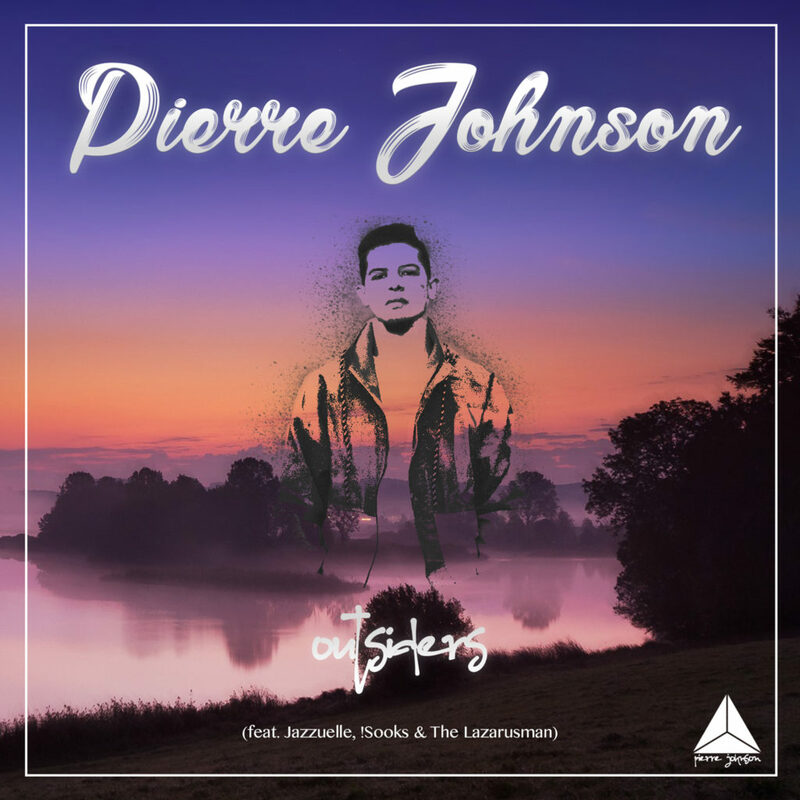 Having recently released his debut album “Outsiders” on House Afrika Presents Mzansi House Volume 8, we caught up with Pierre Johnson to get to know the man behind hits such as “The Cure” and “Movin’ On”. 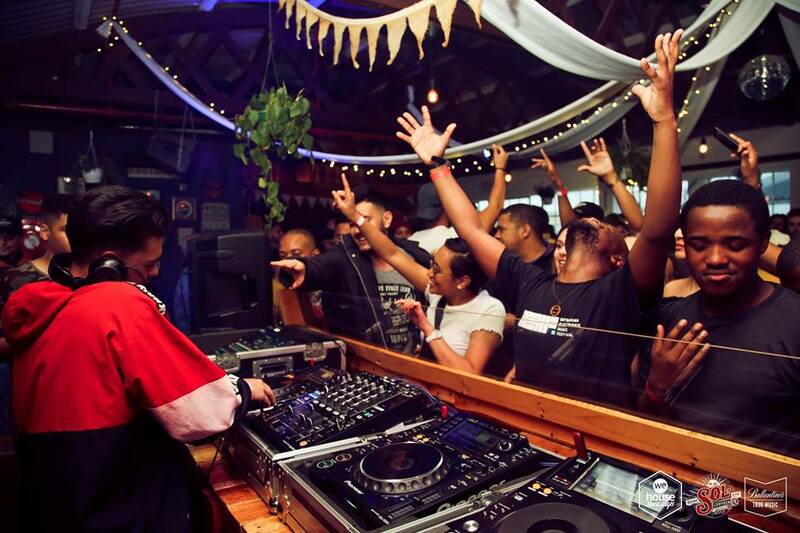 Growing up in Athlone, a Cape Town suburb, on the Cape Flats, Pierre recalls the days when he’d arrive home from school and go through his older brothers’ music, which included Fish Go Deep, DJ Fresh, Julien Jabre, Rocco and Fistaz Mixwell. Early exposure to such music greats has sure worked in his favour as he speaks of always having an interest in sound, “my mom bought me a Hi-Fi when I was 10, every day after school, I would take my CDs I had burned and record them on to a cassette for the drive to school the next day, because my uncle’s car never had a CD player.” With an evident dedication to the music, Pierre does not shy away from his humble upbringing, “I had no financial resources, things were always difficult at home, this taught me to be independent from a very young age. If I wanted something, I figured out how to do it on my own.” With countless early setbacks, Pierre continued to persevere and used it to guide and fuel his music career, “I had saved for equipment, the house got burgled and my things were stolen. I’ve had to start from scratch so many times. I’ve failed so much, even today, I still fail but I love it because it teaches me and I become wiser”, he says. His debut album, “Outsiders” is in part the product of voicing the struggles faced by his grandparents during apartheid, particular the Group Areas Act. An honourable body of work which confronts the reality that many people of colour still feel like outsiders in their own city. “I stay in the part of Cape Town you don’t see, the slums. 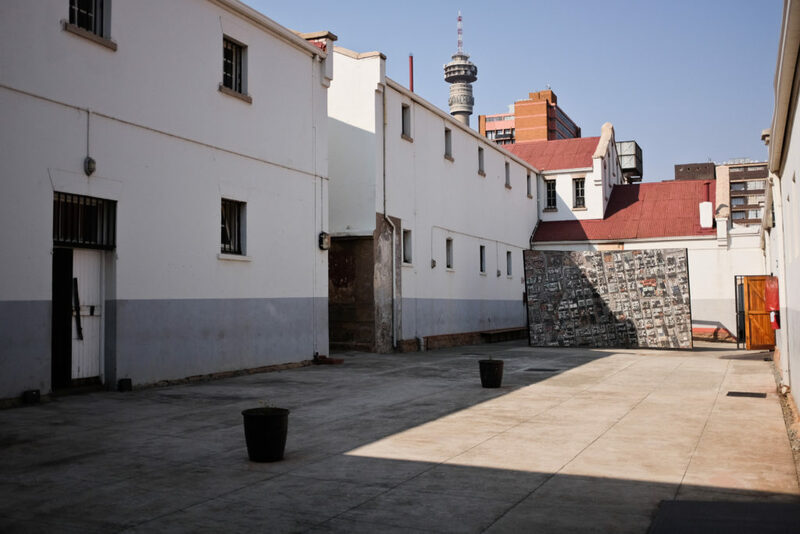 Before I was born, my mom’s parents were forcibly removed by the government from their house in Green Point.” During apartheid, Green Point was declared a “whites only” area and Pierre’s grandparents were forced to relocate to Athlone – strategically replaced further away from the city centre. Through his music, Pierre has found a way to raise the struggles of many people in the shadows of South Africa and get the nation dancing simultaneously. “I can’t count how many times I lost myself in the process of making this album, a lot of emotion went into this project.” Pierre’s debut album “Outsiders” is exclusively available on HOUSE AFRIKA Presents Mzansi House Volume 8. Pierre says he is extremely grateful for having one of Africa’s longest and most consistent record label support his project and get his message across. With his growing success, Pierre remains the humble and easy to approach person many people have come to love and appreciate. “I’ve fallen before, from an ego I had grown, lost friends, business and myself. I can talk about it because I’ve learnt from it, and it has taught me to treat everybody with mutual respect and love.” Pierre believes it is important to interact with the people who support his music on all platforms. He says, “I go out as much as possible, even when I don’t have a gig, and I socialise with everyone. People that support what I do I keep close.” Pierre still believes that there is more to be done to consider himself successful. His advice to other Cape Town House producers and DJs trying to get their music heard is “study yourself, know yourself, know what your weaknesses are and mould them to become your strengths.” Having the approval of one of South Africa’s most iconic DJs is a sure way to motivate you to continue on the path of creating music. “When Vinny Da Vinci told me he loved Cure, it really boosted my confidence and made me want to write more and more music”, he says. When he isn’t behind the decks, you can catch Pierre somewhere on the dancefloor appreciating the music with fellow dancers. 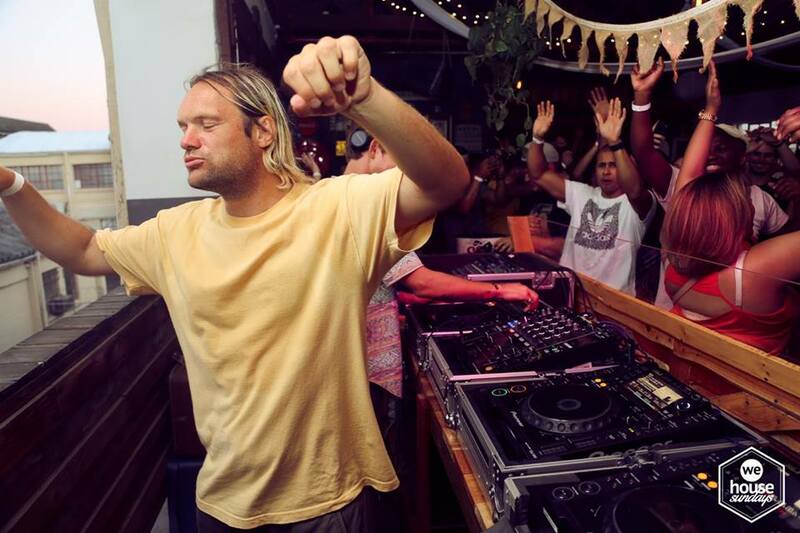 At We House Sundays, “it’s an energy like no other, I’ve lost myself on that dancefloor with my eyes closed countless times while Leighton Moody is playing, surrounded by the most beautiful souls. It is family.” Pierre will be blessing the Colorbox Studios with yet another set on 26th August 2018, if you were lucky to catch his previous We House Sundays performance with Winnie Deep, you’ll know that you’re in for an epic dancefloor session. Sunday People, you’ll be treated to “loads of unreleased music from my favourite artists, some classics I’ve always dreamed of playing in this space and some really high energy (tracks)”. Pierre is a firm believer in the Law of Attraction and speaking things into fruition, with all that he has achieved so far he believes it is important to surround yourself with people that are on the same frequency as you, “when you are in the right place at the right time, the universe will open doors for you.” He remains on the grind and keeps surprising South Africa with all that he is capable of doing, in the coming months you can expect “a 3 track EP, a collaboration from myself and Avi Subban on Kalushi Recordings, a 3 track EP in collaboration with Cape Town Electronic Music Festival, a single collaboration with Ed-Ward and I’m also practicing for my live showcase”. 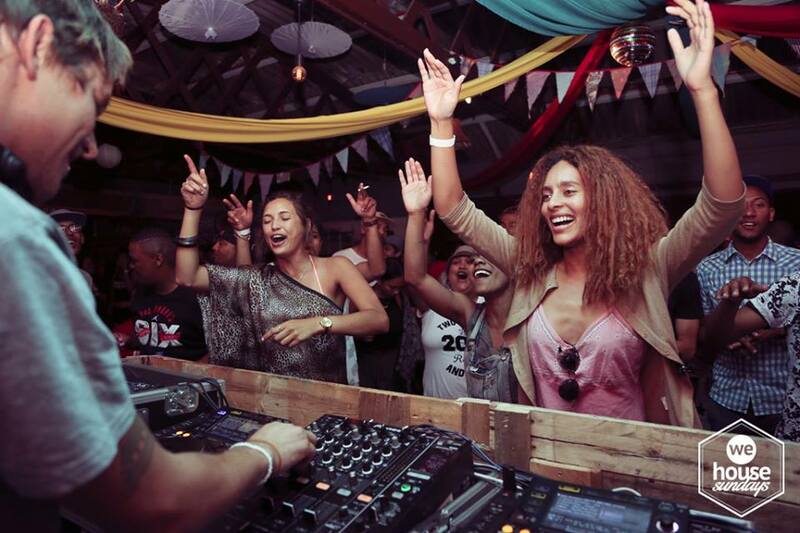 The future looks incredibly exciting for House Music in Cape Town and South Africa, we cannot contain our excitement for the one-of-a-kind aural experience that will take place at We House Sundays Ft. Pierre Johnson (Album Launch). 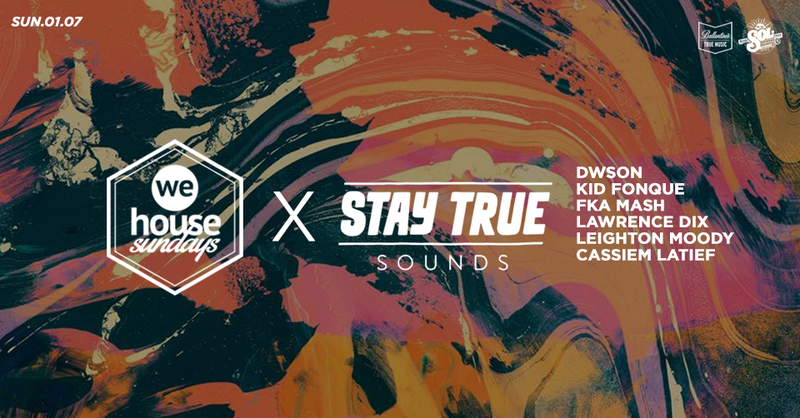 We House Sundays has collaborated with Stay True Sounds to bring you, Sunday People, a musical extravaganza like no other. An aural celebration of forward-thinking sounds and uncontainable energy awaits on the 1st of July. Joining the stellar line-up is none other than DJ and producer, Dwson. 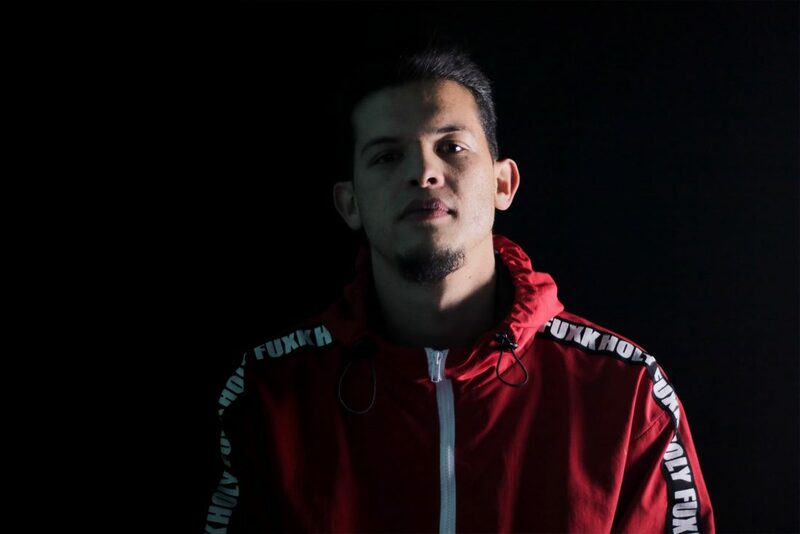 Having just released his highly acclaimed debut album “Impulsiv” we thought it fitting to get to know a little more about his musical journey ahead of his performance at Colorbox Studios. Hailing from Cape Town, Dwson recalls an early music experience in his hometown, Kensington, “I remember, while growing up, my father and his friends would always come together over a weekend, whether it be a party or family get together, they’d always be playing some good old jazz music.” A nostalgic memory familiar to so many people who have grown up on the Cape Flats. Dwson believes his career in music was fueled by having a great passion for good music from an early age. The inspiration grew from getting too familiar with playing other artists’ tracks, “I decided that I wanted to play my own music”, he says. What makes Dwson’s journey so heartwarming and has the entire nation rooting for him is definitely his humble upbringing. Nothing worthwhile comes easy and the incredible DJ and producer is a testament to that. “It wasn’t easy but it was definitely worth it. Luckily, I’ve had parents that were supportive from the get-go. It’s not a common occurrence where you have parents who allow their child to do what they want without a sustainable income. Most parents just want you to be financially stable”, he says. Dwson understands the worry parents face when wanting to see their child succeed, and considers himself blessed to have both his parents in his corner when things weren’t always easy. He credits Soulection for being a big influence with his music and the record label certainly sparked an interest in deciding to host his own event, called Doperoom. Soulection had a major influence in Dwson wanting to create his very own movement where he showcases underground Hip Hop and future RnB artists. Doperoom has created a platform for artists to play music that isn’t necessarily heard in nightclubs. A huge part of the event’s charm is “spreading good vibes, celebrating music and creating a sense of brotherhood amongst the artists.” Dwson is firmly aware of the power that music holds and the message that comes through when listening to it. He believes artists should be comfortable with representing their roots. “If someone listens to my music from another country, I’d love for them to hear that I’m from South Africa, whether it’s in the percussion, bassline or the type of instruments I use.” Artists should embrace where they come from and not shy away from it when it comes to creating great music. 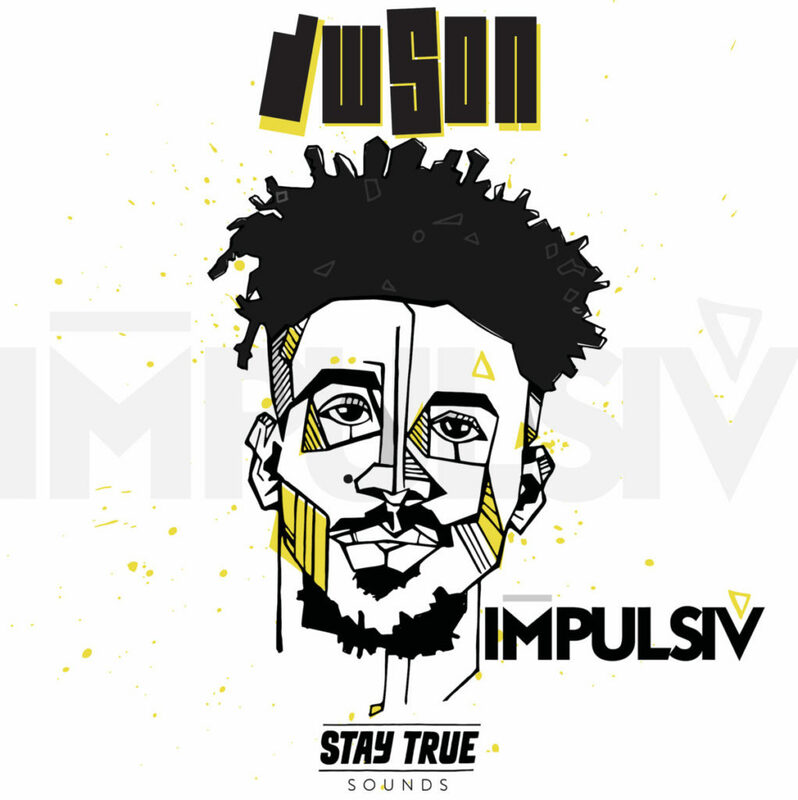 “I’d like for whoever is listening to my music to feel good, take your mind away from your troubles and get lost in the music for a bit.” Dwson certainly has achieved this as South Africa has “Impulsiv” playing on repeat. 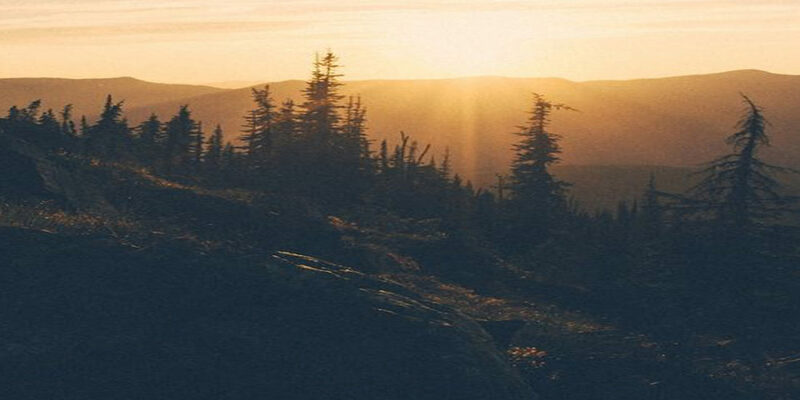 It is a goosebump-raising collection of tracks that are sure to fill your soul with playful and dub gyrating sounds causing you to smile and have you wishing you were on a dancefloor. He says the album was a spur of the moment creation, most of the songs were based on expression and were done quite quickly. “I didn’t have any plan on how the album should sound or what I wanted to do with it. It was basically a story that I created from the heart and this was the end product.” Impulsiv is the first full-length album to be released on the Stay True Sounds record label, an achievement Dwson is proud of. “I’ve had the freedom of doing what I wanted. I could bend the rules and experiment as much as I wanted with this album.” The album features vocals from the likes of Jackie Queens, Sió, and Zion all whom Dwson has tremendous respect for. When it comes to artists he works with he claims to be quite picky. There was no real plan for the artists he wished to work with on the album and says their crafts happened to connect and align at the right time which led to the songs on the album. DJ Buhle is an undercover veteran, with deep roots in House Music. Since 2005, DJ Buhle has been mixing her favourite tracks in the cousin genres of Deep Funk, Deep Tech, Lounge, Deep Soul & Abstract House. 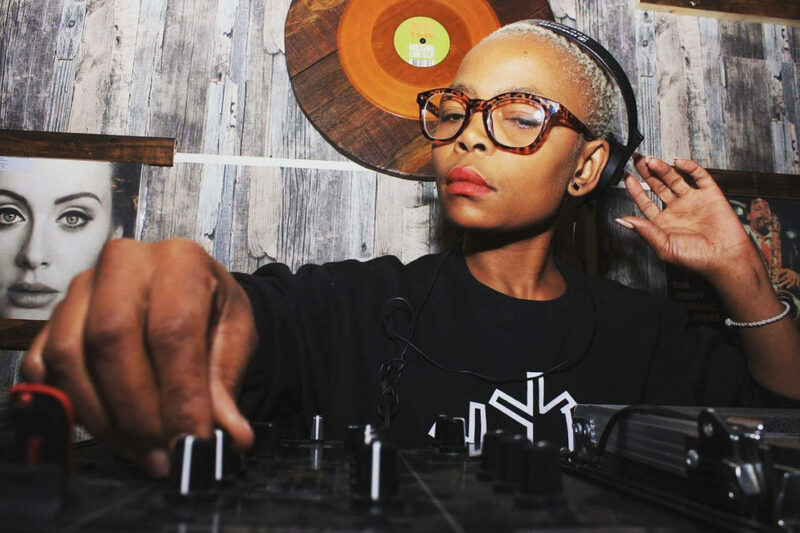 She’s provided music for spaces as diverse as dancefloors in her homebase of Pimville, Soweto, and the global online showcases of ‘Deeper Shades of House’ and ‘Sensual Desire of House’. 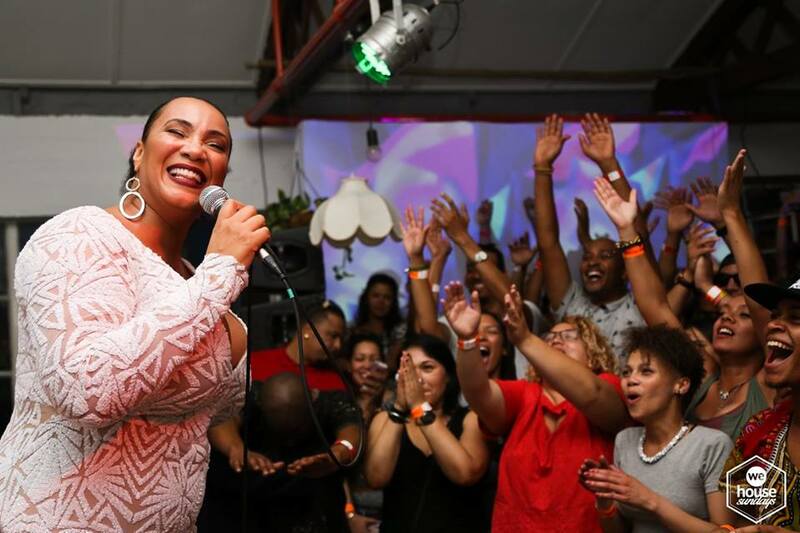 Locally, she’s no stranger to playing shows in every corner of the country, and has shared stages with close to every great in SA house music – expertly sharing her favourites across vinyl and CDJ formats. What is your first memory of the power of music? Sjoe, it was definitely on the Sunday Surgery (on 5fm ) with Roger Goode. How did you get started in DJing, dance music and nightlife? A friend of mine had sound and I remember telling my grandad after seeing Thobs, Shirley and LadyLea on TV that I also wanna DJ… So my friend was nice enough to teach me. What has been your biggest victory/success/happiest memory in music? Every gig for me is a victory… also being chosen as one of the most influential female DJs in SA. You play across formats on vinyl and CDJ. What is your preferred format, and why? Does it make a difference at all? Why? There is actually no difference. I hear alot of DJs saying that ‘playing on analogue makes u exclusive’, ‘this CDJ format makes everyone sound the same,’ but I disagree. If you have an ear for music, you have an ear for music. The music I have on analogue is more or less the same genre. Also, UDG trolley bags are heavy so I prefer the CDJ format. 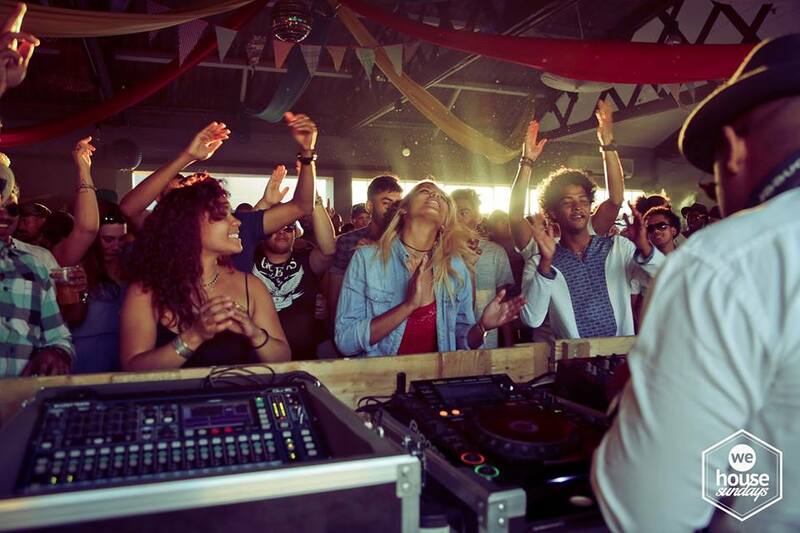 Will you be playing on vinyl or CDJs at We House Sundays’ 3rd Birthday outdoor festival? I would love to play analogue, but I will play with CDJs. What else can we expect from your set at the event? I will be playing my heart out. I really hope you enjoy my style of music. You’ve been a DJ since the mid-2000s. What’s changed over that time – for the good or the bad – in the music landscapes and subcultures you inhabit? Music is changing, and people don’t like change. I have become a lot more hectic, but have remained in my lane. The culture of ‘good music’ is still there, but people are too lazy to travel for music – they want to be spoon-fed. The bad thing is that some things will never change, like untrustworthy promoters and people. What was the reason for starting and re-starting Sunday Phola Sessions? How have those sessions had an impact on the music worlds around you? I have seen that people don’t really like going out of Soweto for good music. I brought them back ‘cause there is nothing as painful as seeing the same DJs and hearing the same music at venues. I’m grateful that I took a break for a while, ‘cause now the gap I had left is still there. Now, I have come back with a bang – it’s gonna be hard but it’s a challenge I love facing. Who in SA are your musical heroes, and who in the world would you still love to share a stage with? There are a lot hey… and the past couple of month I have been sharing the stage with them – Alex Leeu, Mvelo Khumalo, Ricky H, Vinny Da Vinci, Christos, 2lani The Warrior, and a couple ‘international’ producers. Right now, I‘m looking forward to sharing the stage with Andre Lodemann, Leighton Moody this month – its been a dream of mine. Finally, what are 5 tracks on heavy rotation for you right now?